Rheumatism is a disease that attacks the joints so called arthritis. In addition to attacking the rheumatic joints can also invade other organs located around joints and rheumatism also can affect anyone, including children. Rheumatism is not classified as a deadly disease, but rheumatism can lead to disability, interfere with daily activities, and increase the economic burden of patients and families. Uric acid is a metabolic disorder caused by a protein in the body, so that the increased blood uric acid, uric acid crystals form in the joints. Uric acid usually affects those aged 40-50 years, joint disease is characterized by sudden and repeated attacks due to high acid levels in the blood. Rheumatoid Arthritis (AR) is a disease that attacks the joints and soft tissues, also called autoimmune disease with chronic inflammation, if left to worsen usually attacks the joints of hands and feet that cause inflammation and swelling, and can cause damage to the joints so sipenderita experience fatigue, weight loss body, less blood, and can attack the lungs, heart and eyes. AR can affect anyone and usually at the age of 25-30 years most sufferers are women. Can someone AR disease due to genetic, environmental, hormonal and infection. Chronic joint disease characterized by deterioration of joint cartilage and adjacent bone. OA joints occurs because the repair process is not able to compensate the damage. This disease usually attacks the joints joints that hold the weight that is often used, such as the feet, knees, thighs and fingers. Oa divided in two parts Ostreoartritis unknown cause Primary and secondary Ostreoartritis cause infection, deformity, injury or excessive use of joints. Juvenile Arthritis is a disease that afflicts children, categorized as rheumatic children, in some children, the disease can be cured. But some other cases there are children who suffer throughout his life. 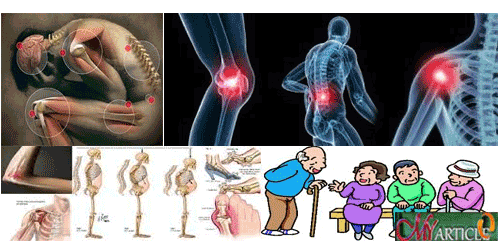 Rheumatic disease attacks the joints, bones and other body parts psoriatic arthritis disease is more common in the fingers and spine, the disease is categorized as mild but if not prevented would be severe. Most attacks the spine when a person aged 16-35 years. In ankylosing spondylitis spine is affected can be fragile even converge slowly from top to bottom, so that the patient can not be bent or turned like a robot, if the situation is getting worse sipenderita will bend and badanya resembles (?) Mark this disease influenced by genetic factors . Lupus disease attacks the human immune system is redundant, it is not directly but rheumatic disease involving the joints, muscles and even other organs, Lupus is a foreign term which means "wild dogs" because of excessive immune system of HIV reverse causes spots on the cheeks, red nose and shortness of breath swelling of the joints. Lupus disease is fairly similar cancer dangerous because if left unchecked can lead to death.